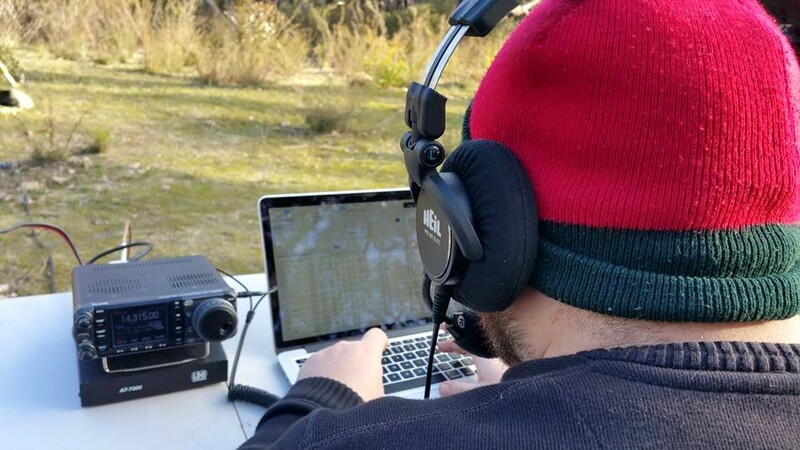 The special event station VI5MCP has been very active today with a large contingent of operators from the Amateur Radio Experimenters Group braving the cold but clear conditions to operate portable from the top of Morialta Conservation Park. The station consisted of an inverted-vee on 40m and a portable hex beam for the higher bands. Operators included Bob VK5FO, Ray VK5RR, Ben VK5BB, Andy VK5AKH, Theo VK5MTM, Matt VK5ZM, Mark VK5QI, Lionel VK5UP, Kym VK5FJ, Dennis VK5FDEN and Peter VK5KX. Gary VK5FGRY was also on hand to record the events as well a number of other members. Multiple HF bands have been activated today including 40m and 20m. Details of the contacts will be put into the logs online shortly. Keep watching here for updates. In total so far we have logged 150 contacts and 28 DXCC countries, and with another week to go for this special event call, there is still time for you to make contact with VI5MCP! The activation will continue tomorrow (Sunday 19th) with plans for the station to be active at the conclusion of the WIA broadcast. Plans are afoot to operate on 2m tomorrow as well to give some local VHF operators the chance to put this special event callsign in the log. 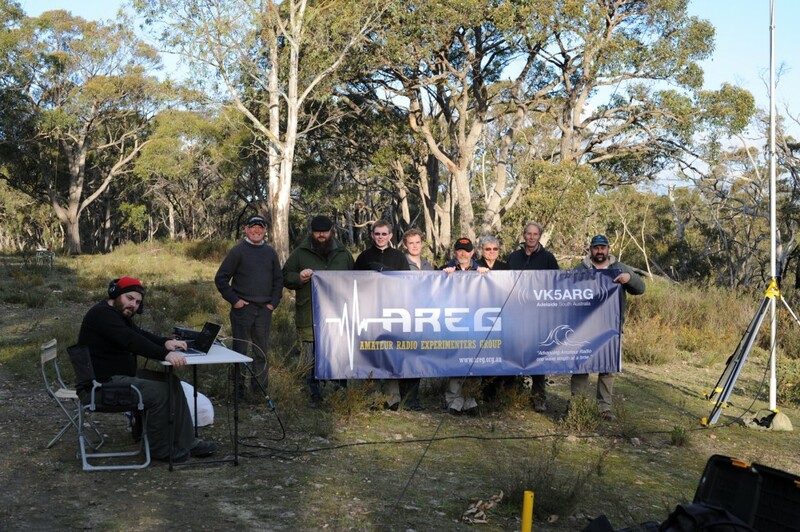 This entry was posted in Club Special Events, Special Event Stations by VK5GR. Bookmark the permalink.